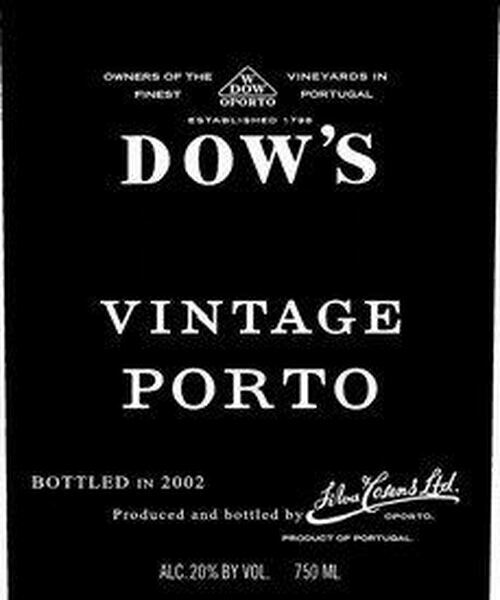 The complex aromatics of the opaque, black-colored 2003 Dow Vintage Port display chocolate, dried oak, black cherries, blackberries, copious spices, and a myriad flowers. This fresh, backward wine offers a medium to full-bodied, deeply concentrated core of spice-laced dark fruits. Softly-textured and seductive in the mid-palate, it boasts abundant layers of candied Damson plums, blueberries, black cherries, molasses, and hints of chocolate before revealing its firm structure. 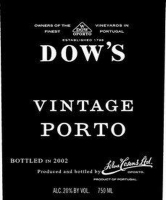 Extremely youthful and primary, this exceptional effort demands patience. Projected maturity: 2025-2045+. A powerhouse, but one that shows a certain degree of lushness to its robust blackberry and mint flavors. Finishes long and minerally, bolstered by slightly drying tannins. Should be more approachable by 2015 and last for three decades beyond that.